Nearly 800,000 people still owed Power of Attorney refund: are you eligible? A million people are due a refund on their Power of Attorney fees after being overcharged for applications by the Office of the Public Guardian (OPG) but only a fraction have made a claim. 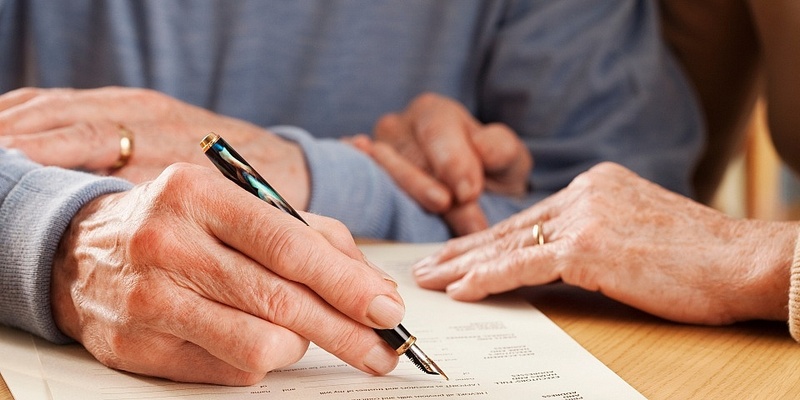 This time last year, the Ministry of Justice (MoJ) began refunding members of the public who applied for Lasting Power of Attorney during a specific three-year period. Since the scheme was launched, the MoJ has refunded 194,713 claims totalling more than £12m. Yet the government department has revealed an estimated 800,000 people are still eligible for reimbursement. Which? explains why the fees were too high in the first place and how you can apply for a partial refund. How were people overcharged for LPA? Lasting Power of Attorney is a legal document in which one person (the donor) gives others the right to make decisions on their behalf about financial or medical decisions (the attorney/s). LPAs have to be registered with the government by making an application to the Office of the Public Guardian (OPG). The OPG is allowed to charge all applicants a fee to cover its running costs. However, between 1 April 2013 and 31 March 2017, the Ministry of Justice reduced the OPG’s operating costs but the application fee stayed the same. This meant the OPG generated an extra £89m surplus from overpayments, as people carried on paying the same price. The cost of applications was eventually reduced from £110 to £82 from 1 April 2017. According to figures from the Ministry of Justice, only 194,713 individuals out of an estimated one million people affected have been refunded as of 1 February 2019 – just under 20%. Of the funds earmarked for a refund, only £12m has been paid out so far of an estimated £69m. Am I due a Power of Attorney refund? You will be eligible to claim a refund if you made a Power of Attorney application between 1 April 2013 and 31 March 2017 as either the donor or the attorney. However the refund will only be paid to the donor. The amount of money you’ll get back depends on the amount of fees you paid at the time of your application. An extra 0.5% interest will be added to each successful claim. If you made applications for both types of Power of Attorney, you could be owed up to £108 plus interest. If you are unsure of the exact date you paid your Power of Attorney fees, you can still make a claim and the OPG will check its records to see if you qualify. Find out more: deputies and the court of protection. Refund claims can be made online by completing a 10-minute form. You’ll need to have the donor’s UK bank account number and sort code. You can also make a claim by calling the Refunds Helpline on 0300 456 0300, but only if the donor doesn’t have a UK bank account, the donor has died or you’re the court-appointed deputy. It takes up to 12 weeks for claims to be processed. Once approved, the refund will be paid straight into the donor’s bank account. If your claim is rejected, you can appeal the decision by contacting the Refunds Helpline via phone (0300 456 0300) or email: poarefunds@justice.gsi.gov.uk. For more information on appointing an attorney, you can read our Power of Attorney guide to find out how to set one up and how it works.